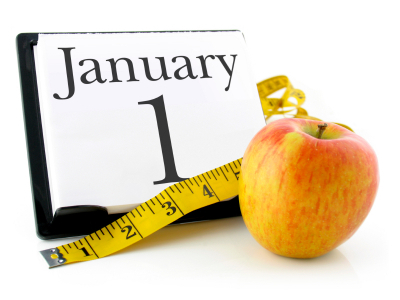 With the beginning of the new year, many make an effort to make a resolution to improve themselves. Weight-loss seems to be a popular choice, but many people aren’t sure where to start, which can lead to giving up quickly. One great way to kickstart weight-loss in the new year is to start cooking foods that are both wholesome and also delicious. Here are some healthy recipes that will leave you satisfied. 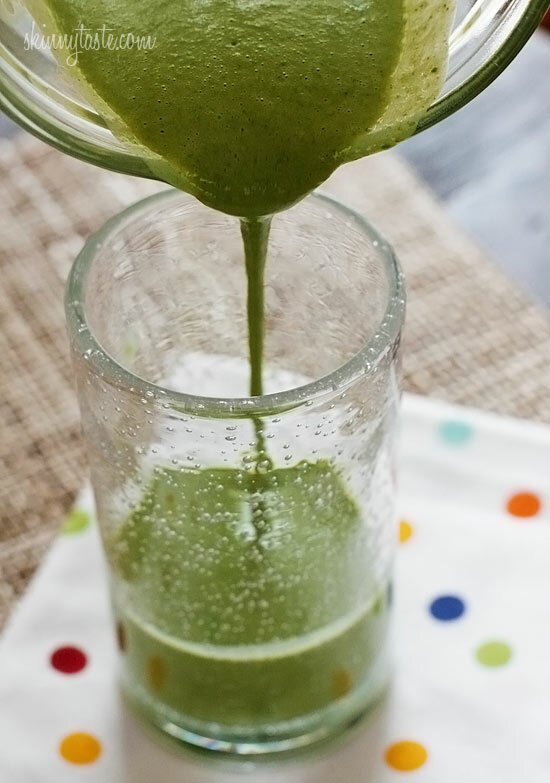 Don’t be alarmed by the bright green color of this smoothie; it’s caused by the spinach that’s rich with antioxidants, vitamins and fiber. And the best part is that you can’t even taste it. Feel free to add or substitute any extra frozen fruit that you enjoy. And if you are feeling extra healthy and ambitious, add protein powder for an additional protein boost. These peppers are a great meat-free option that taste awesome and are super easy to prepare. The peppers add fiber, while quinoa is a health superfood because it’s a tasty whole grain. I promise it will taste so good you’ll forget you’re dieting! 1. Bring a pot of water to boil. 2. Cut off the top of the pepper and remove seeds. Submerge the pepper in the boiling water for 7-9 minutes. 3. Make sure pepper is tender but not mushy so it can hold the rice. Remove from water. 4. Prepare quinoa according to package directions. 5. 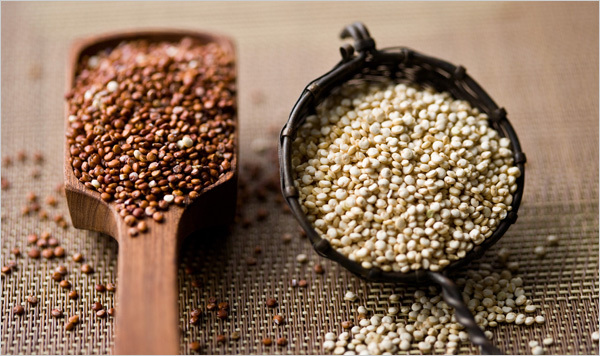 In a small bowl, combine quinoa, lemon juice, garlic and herbs. 6. Spoon the mixture into the pepper and enjoy. 2. Rinse and drain the chickpeas. Dry them on paper towels. 3. 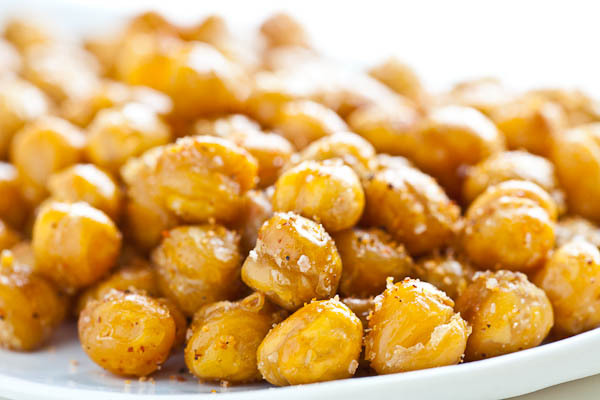 Combine chickpeas, olive oil, spices and salt in a small bowl. Toss to coat all the beans evenly. Spread them out in one layer on a cookie sheet. 4. Bake until golden and crispy. Depending on your oven it could be 30-45 minutes or as much as an hour. They should be a deep brown and be crunchy all the way through. Taste them periodically and add time as needed. 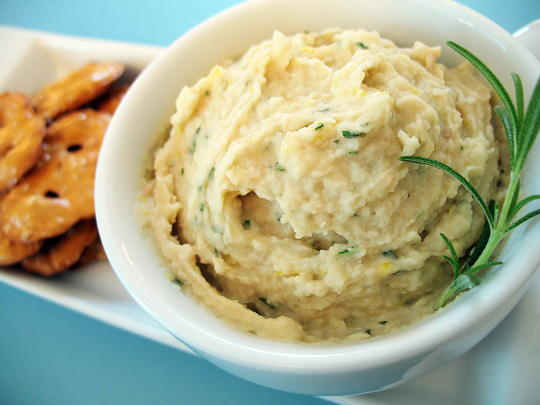 This dip is one of my favorites because it has great flavor and is still super healthy. If you have trouble eating your vegetables, this dip is better for you than ranch. 1. In a food processor, combine arugula, garlic, olive oil and lemon juice. Pulse until smooth. 2. Add beans and pulse until the dip is chunky but combined. Put into a serving bowl and add salt and pepper to taste. Serve with pita chips or vegetables.